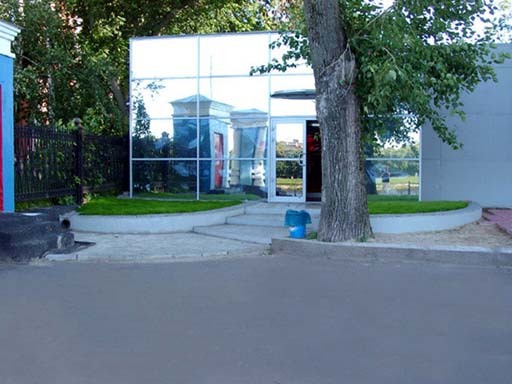 Cosmopolis is a new cafe-bar, which opened not long ago in the gardens in front of the Zvezda movie theater. The cafe looks rather peculiar. Here you will feel like a member of a spacecraft crew. The design of the cafe was borrowed from science fiction movies. You'll appreciate progressive light and sound in the cafe. Cosmopolis offers a wide range of alcoholic beverages, various original dishes, and high-quality service. Cosmopolis also offers you good time in a cozy and placid atmosphere of the club where everyone - from waiters to managers - will treat you as a VIP customer.